*SPLICE KIT FOR WHICH CABLE? 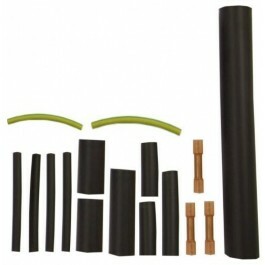 Type IS, is a heat shrink splice kit for the jointing of cables with conductor sizes not exceeding 1.5mm2. The kit is supplied with suitable heat shrink seals and heat shrink crimp terminals to joint two cables together and complete one back end termination.